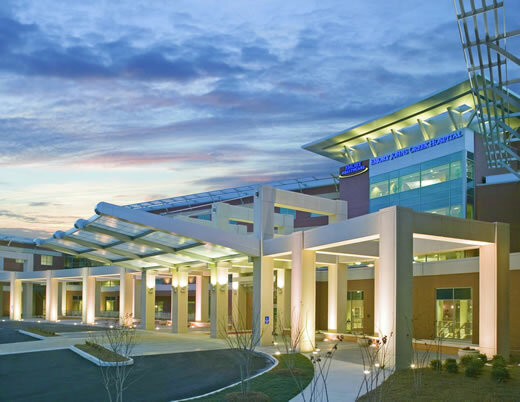 Emory Johns Creek Hospital (EJCH) has appointed two new members to its Board of Trustees at the hospital. The board members are community leaders with a vested interest in Johns Creek and the surrounding area, while being advocates for excellence in local health care. They will serve an initial term of three years. Susan Grissom is an attorney with Grissom Law, LLC, practicing in the areas of corporate/business law, trusts and estate planning. She also serves as executor and /or trustee for many clients. In addition, Grissom works with small businesses as general counsel; organizing entities and preparing and reviewing contracts and business plans. Prior to establishing Grissom Law, LLC, she worked with IT companies and government agencies from the local level in Knox County, Tenn., to the U.S. Department of Energy, Department of State, Nuclear Regulatory Commission and the United Nations. Grissom received her BS from the University of South Carolina in Aiken, SC, and her JD from Georgia State University College of Law. Grissom is a resident of Johns Creek and is an active member in the community. In addition to being a founding member of Leadership Johns Creek, Inc. and member of the inaugural class, she also serves on the Board of Directors for four other local non-profits: the Johns Creek Chamber of Commerce; Johns Creek Arts Center; Peachtree Life Skills, Inc.; and the Johns Creek Economic Development Corporation, Johns Creek Advantage, for which she also serves as legal counsel. William Bornstein, MD, PhD, is chief quality officer for Emory Healthcare, a position he has held since 2003. In 2006, he was also named chief medical officer of Emory Healthcare. In these roles, Bornstein has led the development of a quality and safety program that has been highly successful and recognized by a number of awards. In 2006, he led a major expansion of the Emory Healthcare quality program with the formation of a new Emory Healthcare Office of Quality. The Office of Risk and Insurance Services merged with the Office of Quality in 2009, to form the Emory Healthcare Office of Quality and Risk, which Bornstein directs. Bornstein is a Board-certified internist and endocrinologist and continues to care for patients. He received his undergraduate degree in mathematics from Dartmouth College and his MD and PhD from the Medical College of Georgia. He completed his residency training in internal medicine at Duke and his fellowship in endocrinology and metabolism at the Massachusetts General Hospital (MGH) and Harvard Medical School. "We are excited about the new board members joining us, and appreciate their time and commitment to Emory Johns Creek Hospital and the community over the next three years," says Craig McCoy, CEO of Emory Johns Creek Hospital. "Each member brings a unique background and reputation of excellence in their respective fields. We are fortunate to have this caliber of oversight and governance at our hospital, and know that it will ensure an intense focus and excellence in safety, quality and customer service for all of our patients and visitors."